Musubo continues to impress with its unique and imaginative series of iPhone 5 cases, the latest being the Diamond case. Apart from looking glamorous, the Musubo Diamond case for the iPhone 5 features a hybrid design with a translucent spine that is chiseled into an elegant diamond patterned surface with a glossy finish, and a protective, impact-resistant border made out of flexible TPU. The Diamond is designed with patterns that will offer you great grip, protection and of course - tempting style. 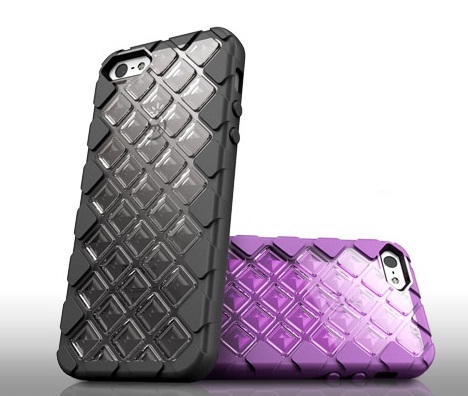 Musubo's Diamond case is available now in black, purple, red and blue colors for $30.